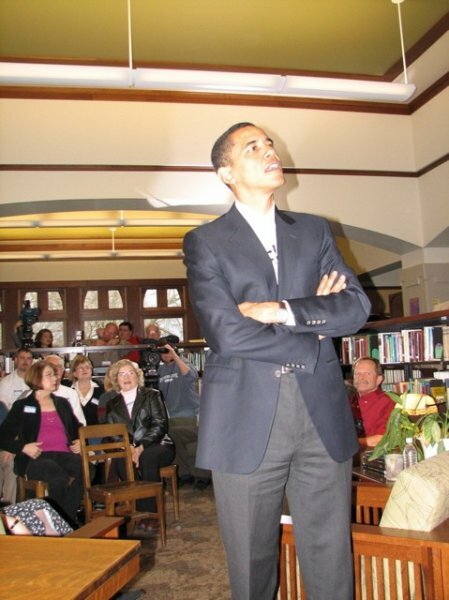 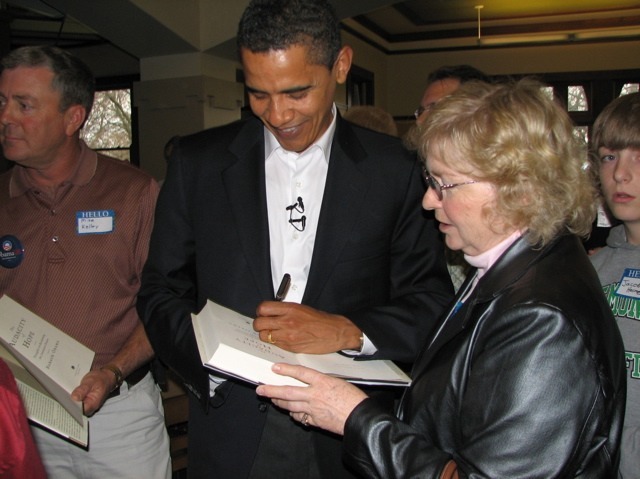 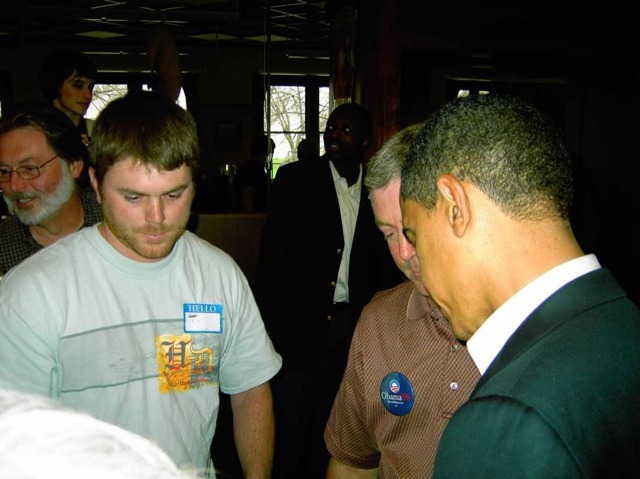 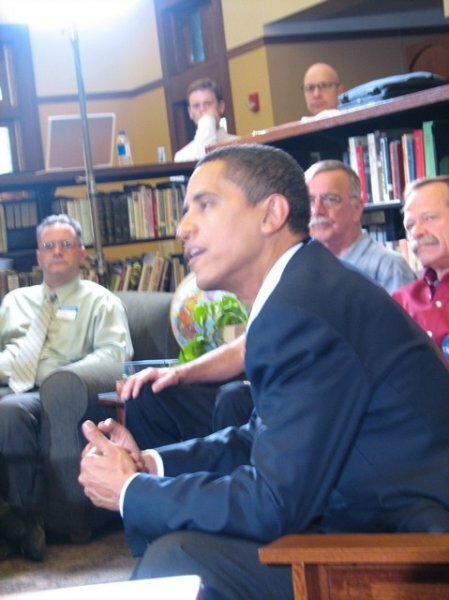 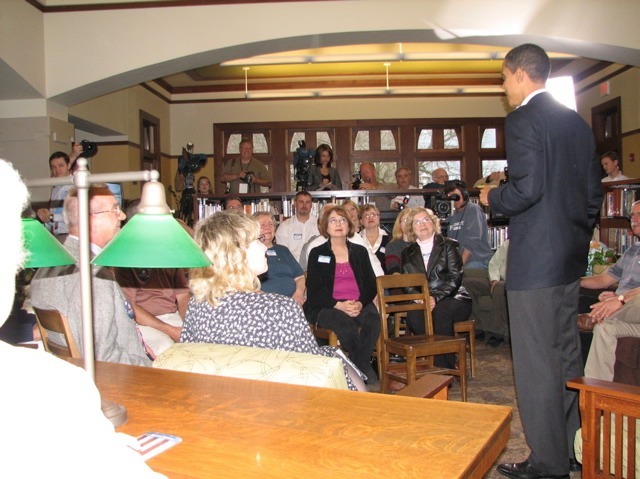 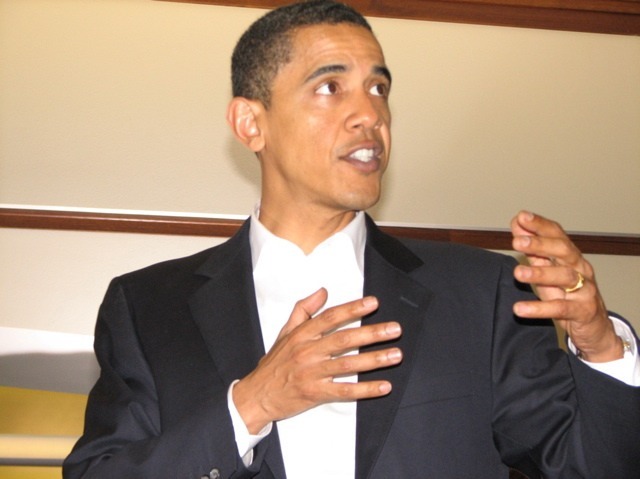 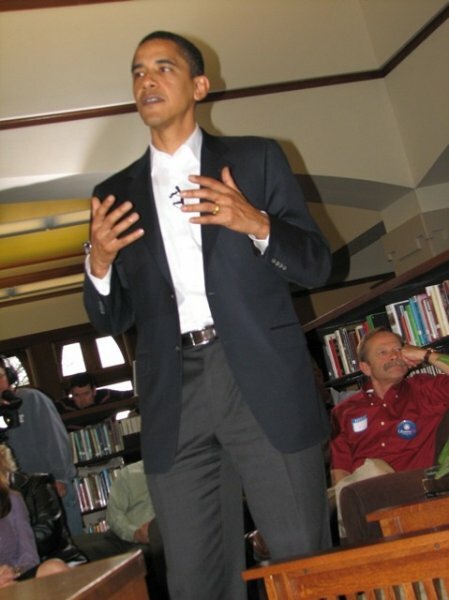 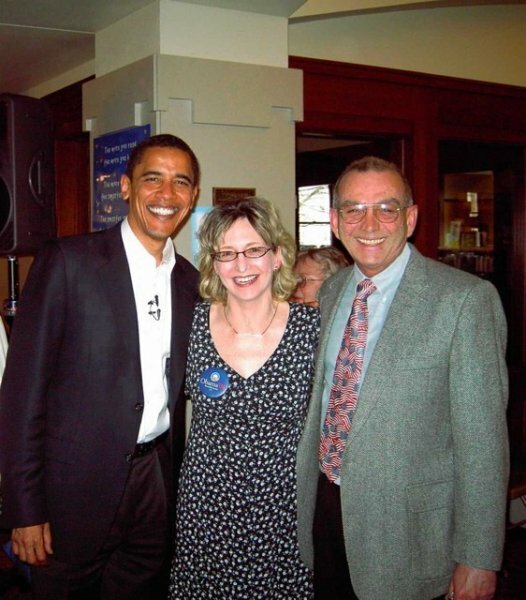 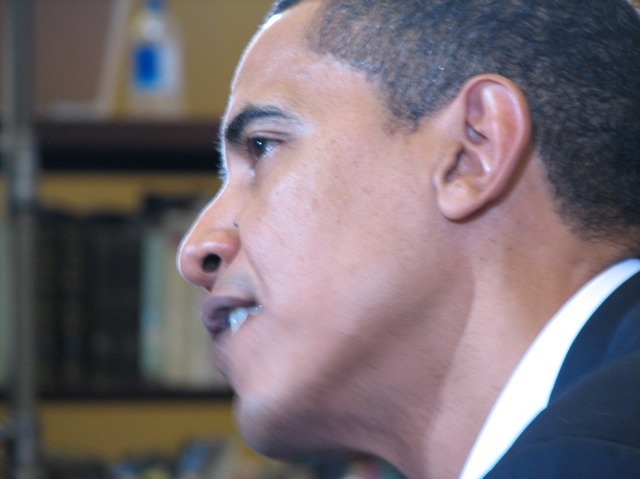 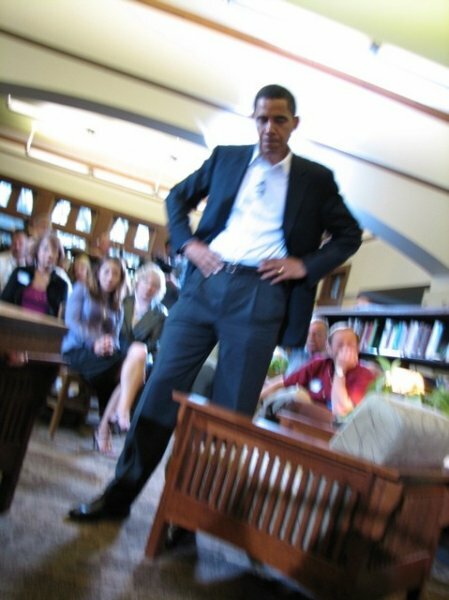 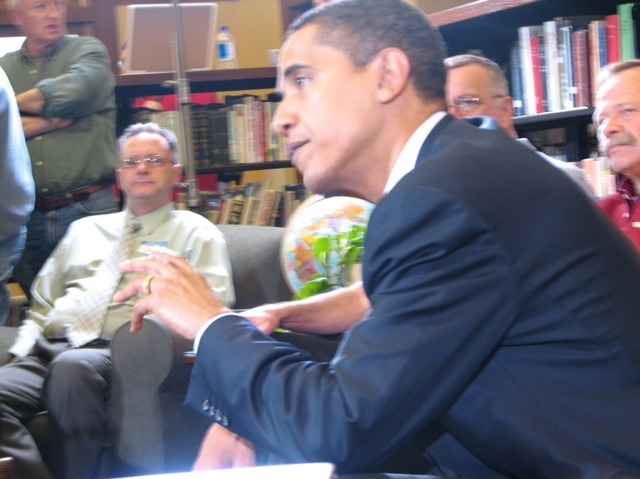 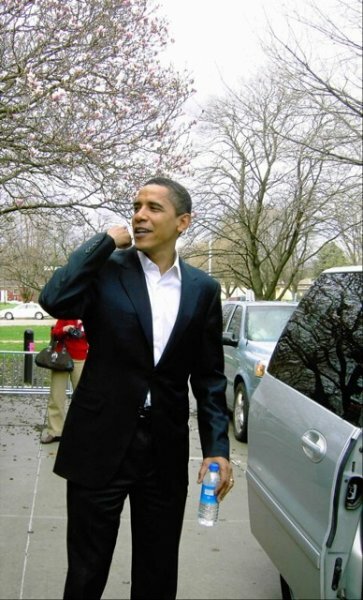 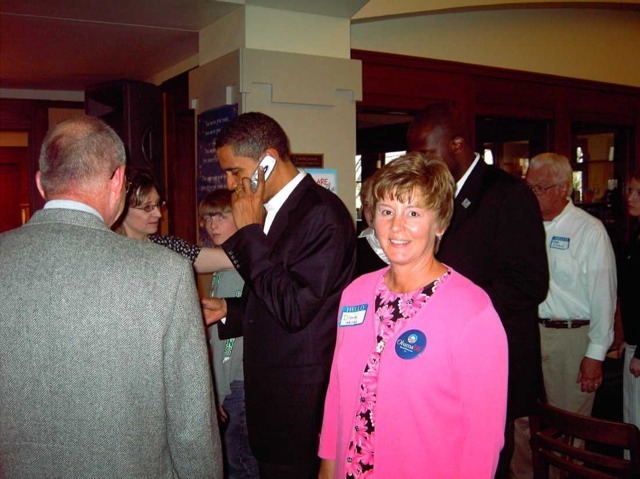 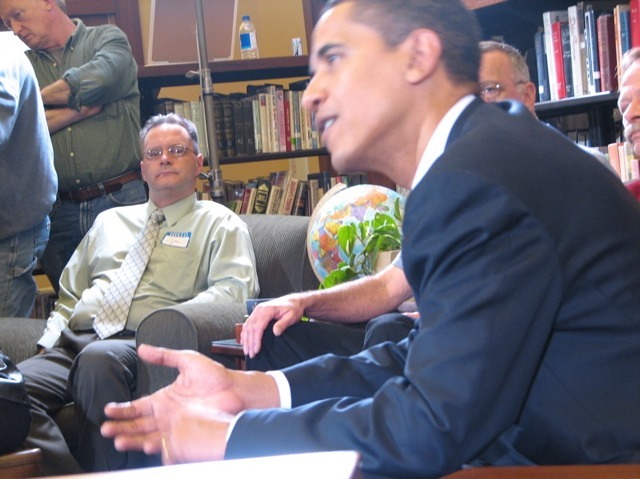 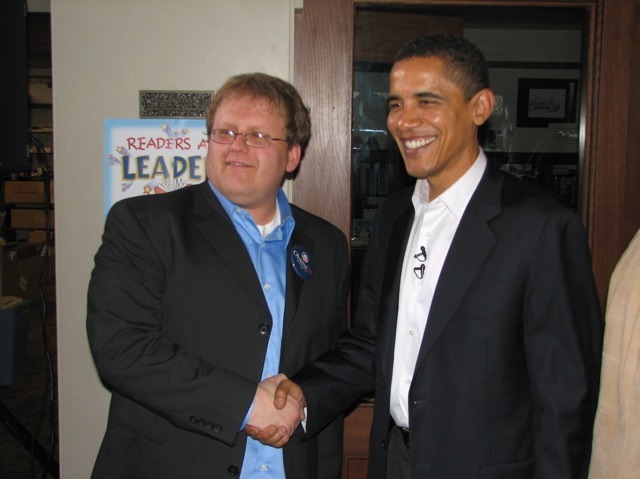 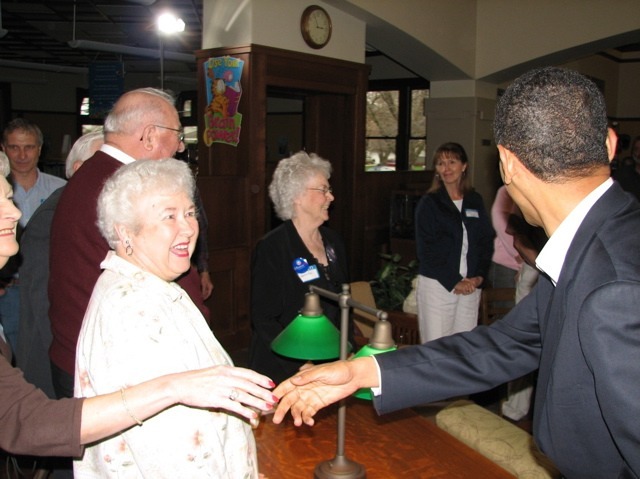 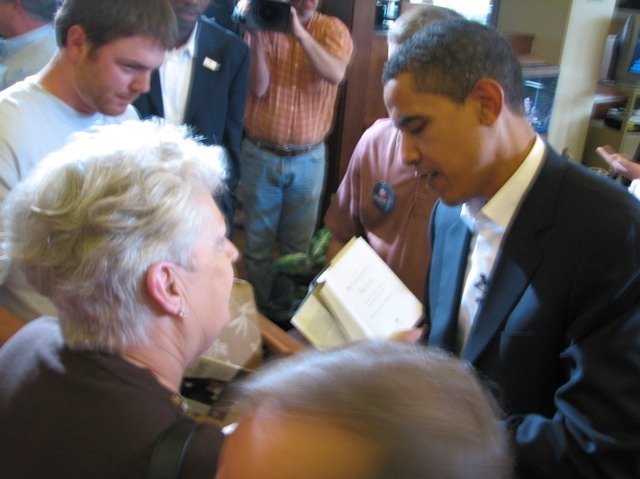 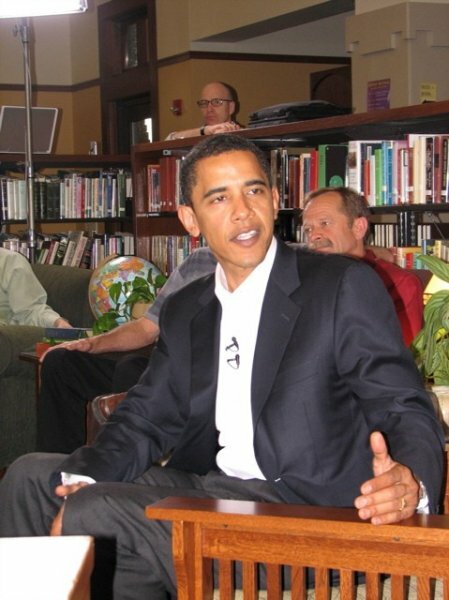 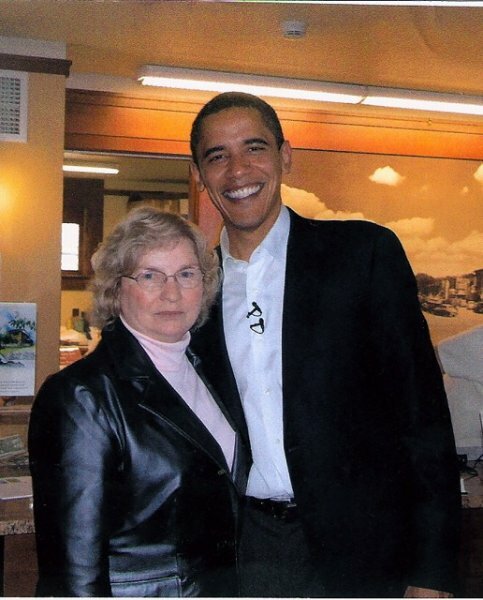 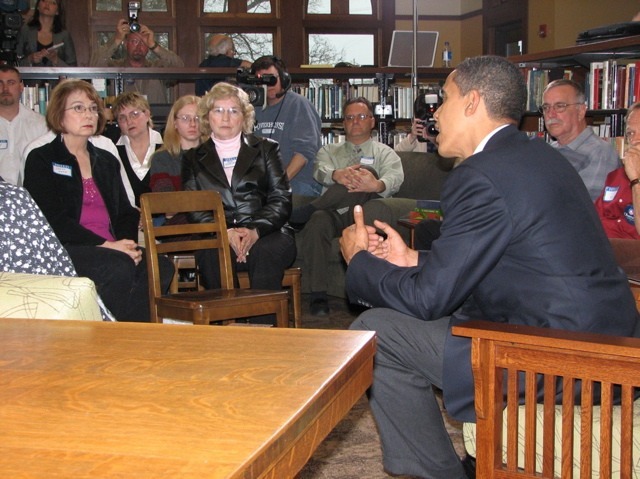 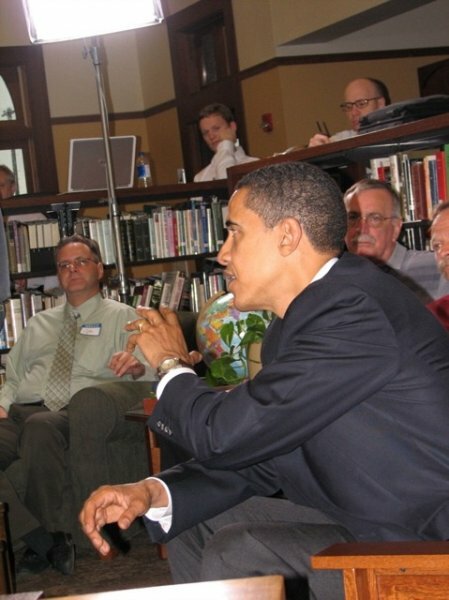 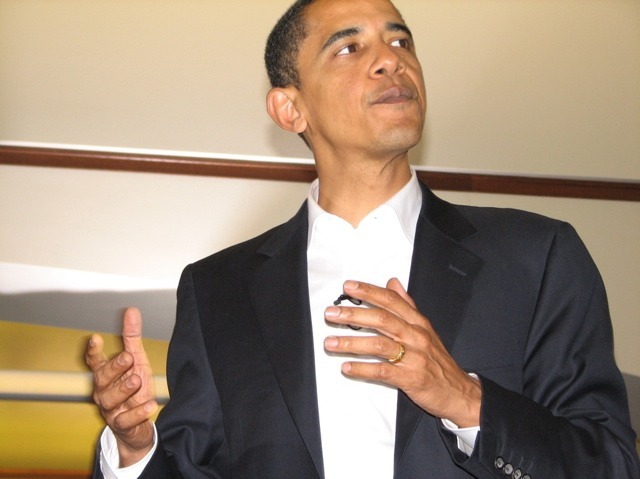 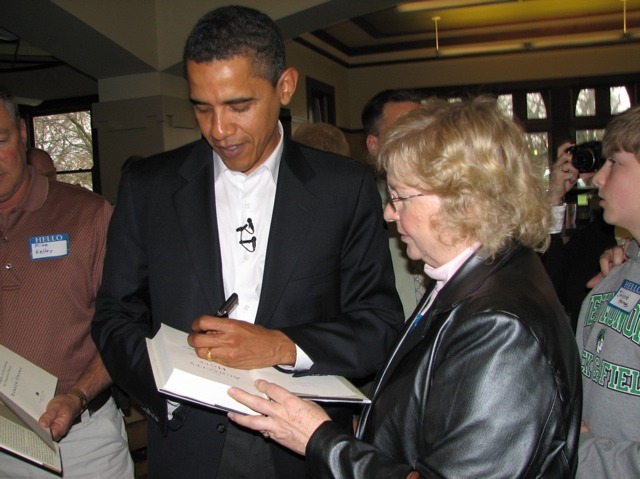 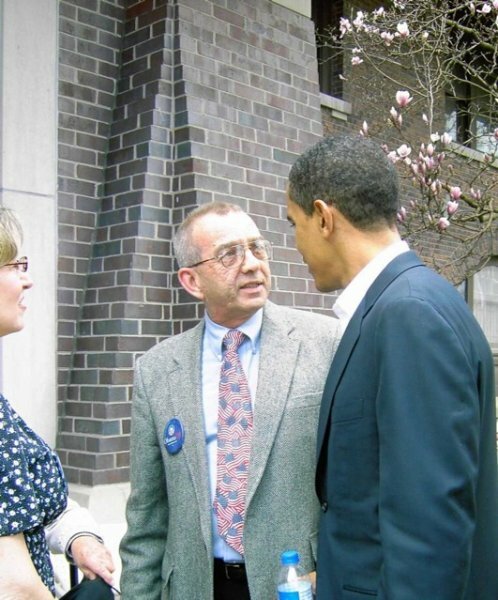 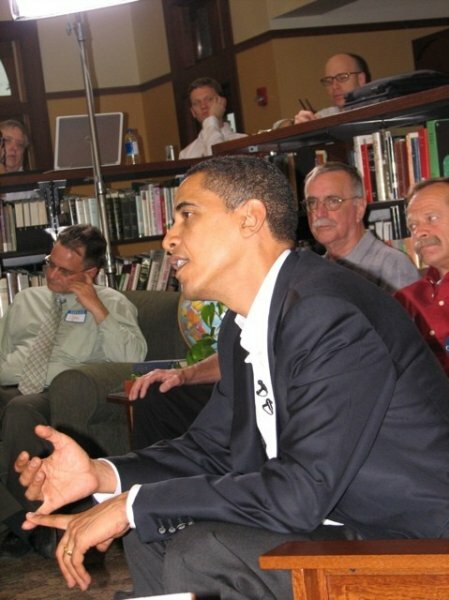 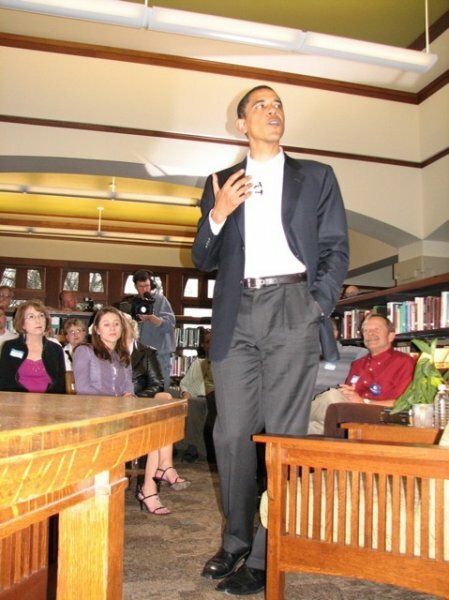 As 500 House Parties came together in all 99 Iowa counties on March 31, 2007, Democratic Presidential candidate Barack Obama kicked off his “Hope, Action, Change” Community Get Togethers at the Onawa Public Library with a nationwide live streamed webcast viewed in all 50 states. 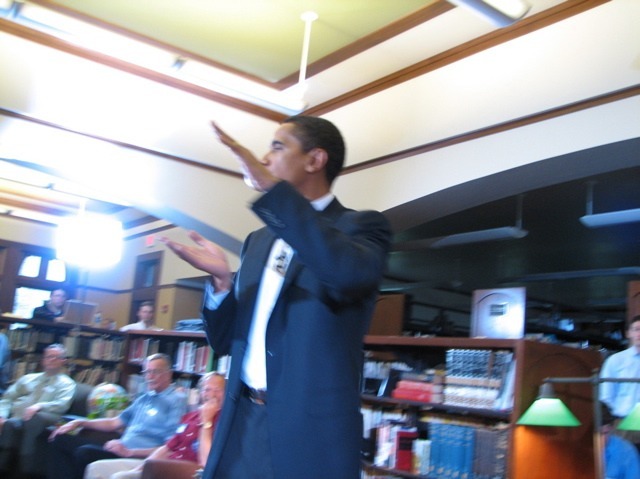 View the video here. 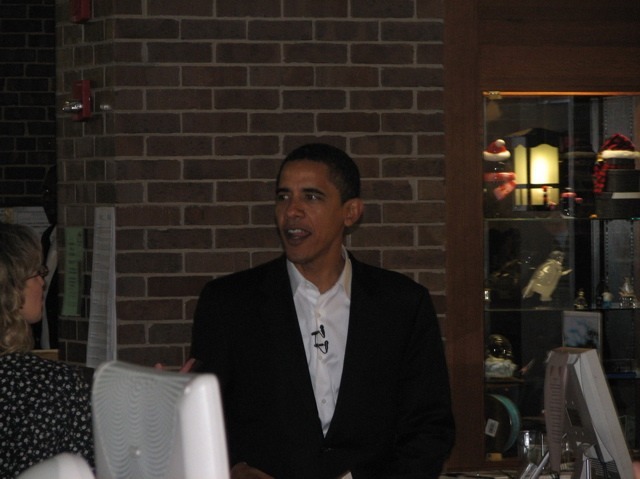 The day’s event raised five million dollars for Barack’s campaign. 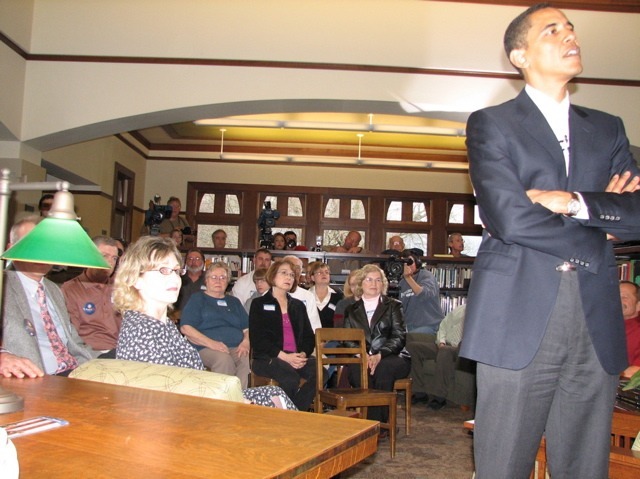 Hosts Jody Ewing and Dennis Ryan — who originally were to hold the event in their home — extend their deepest thanks to the Onawa Public Library staff, who graciously provided an alternate venue to accommodate the fast-growing number of enthusiastic guests. 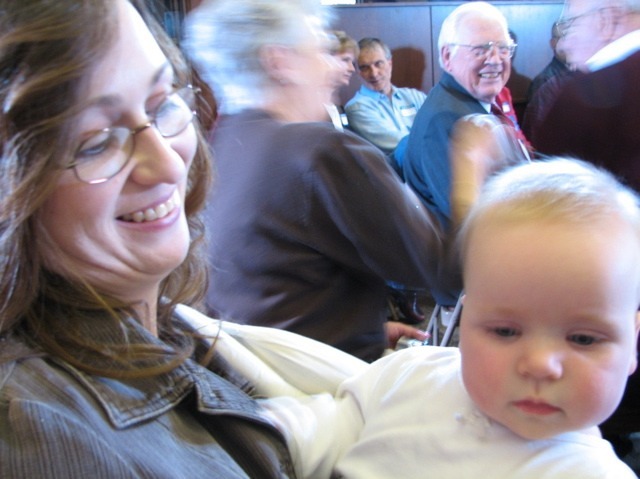 We couldn’t have done it without you, and your generosity has not gone unnoticed. 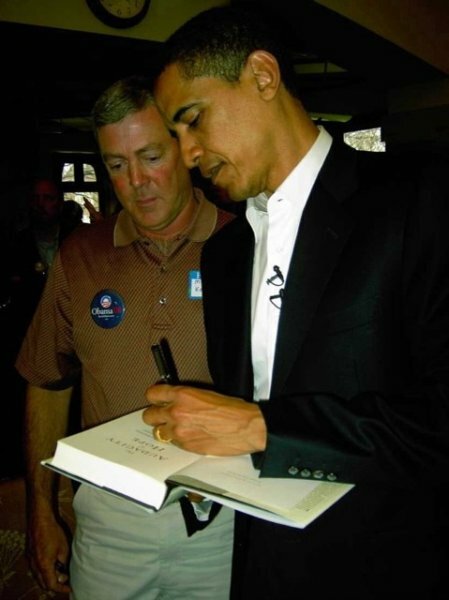 Many thanks also go to Thomas Ritchie and Mike Kelley for all the great photos. 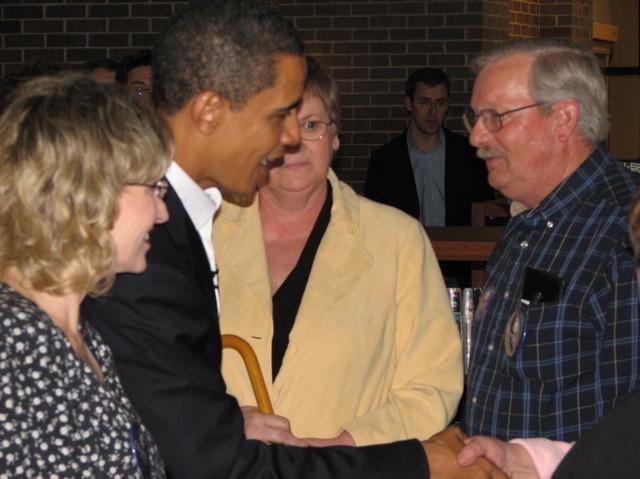 Your keen eyes helped the event become a part of Onawa’s — and the nation’s — history. 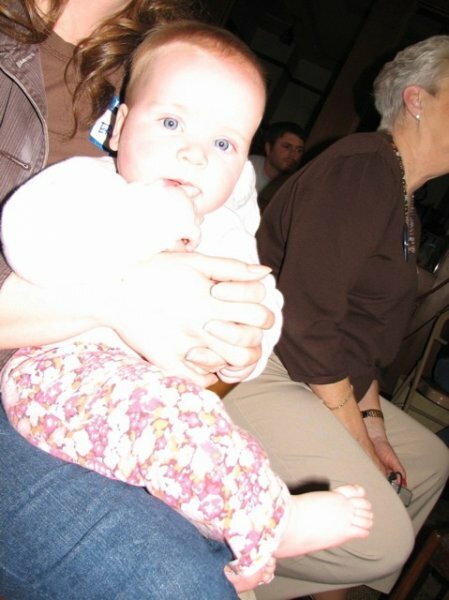 * NOTE: Click any image to view the larger slideshow with photo descriptions.